Spring is an ideal time for you to get out of the gym, not only to boost your workout but also spend time outdoors where you can try out the exercises that you would otherwise be unable to perform at home or the gym. Outdoor exercises can burn a lot more calories and activate muscles that you can’t reach using gym machines. You will be burning extra calories while spending more time in nature, which is your best guard against all the dangers of a sedentary lifestyle. We bring you a list of five great exercises you should try outside this spring. 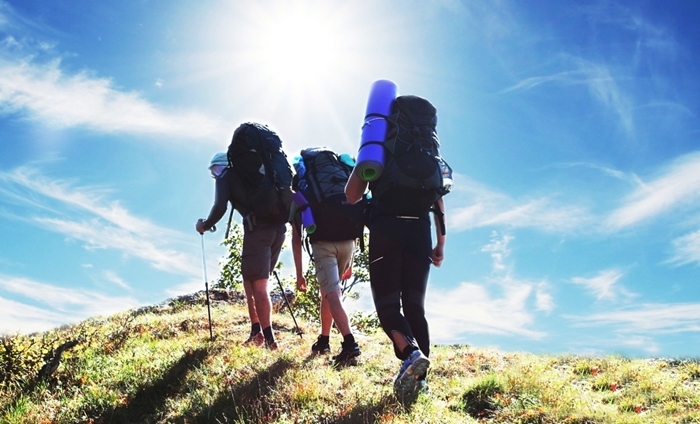 If you’re looking for a way to get back into shape without overexerting yourself, hiking is the safest and most effective method to lose excessive calories. Hiking has numerous health benefits, including a lower risk of cardiovascular disease, regulating heart pressure and sugar levels. The best thing about hiking is that you can do it almost everywhere, in a park, a hiking track or a forest. Most importantly, hiking activates a number of muscles, such as and gluteus and the quadriceps, as well as calve muscles. Biking is not only fun but has numerous health benefits. Unlike many other forms of exercise, biking doesn’t require you to be in top shape. While simple, pedaling activates important muscles and helps you build stamina and lose weight. You can always choose the intensity that suits you and increases it over time as your fitness level improves. When you feel you’ve built enough stamina, you can try out something more demanding, like mountain biking, for example. Another simple, yet powerful exercise that will quickly burn calories and can be performed almost anywhere. Depending on your stamina and fitness level, you can try out different techniques, such as downhill or uphill sprints, activating various muscle groups. Consider combining both downhill and uphill sprints for achieving best results. Always remember to start with a warmup for about 10 to 20 minutes of light jogging. Tip: Beginners should start with one or two sessions during the first couple of weeks. Allow yourself a recovery time of at least two days between sessions. Outdoor bodyweight workouts are the best way to stay in shape, increase endurance and adapt and prepare the body for other, more demanding forms of exercise. You don’t have to spend hours in the gym, as bodyweight workouts can be performed relatively quickly, but still bring you the full benefits. There’s hardly a better way to get in shape than swimming. Perhaps the greatest benefit of swimming is that it activates almost all major muscle groups in the body, while it can also help with blood pressure and stress levels. Swimming can also help reduce the always annoying belly fat. Swimming is one of the best and most effective ways to start leading a more active lifestyle, lose weight in addition to numerous other health benefits involved.